Modup.net is a site that is known primarily for the sale of Modafinil, a cognitive enhancer popularly known as a ‘smart drug’. The site only sells Modafinil. However, it is the generic form of the medication. 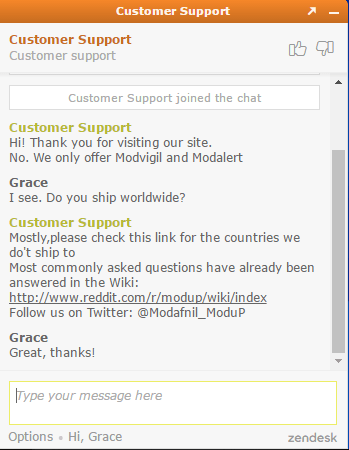 As with most other online pharmacies, Modup.net does not have much information about themselves on their site. The ‘About Us’ section does not give away much about the company. However, the site has a blog as well as forum links (Reddit) for those looking for more information about the site. I decided to contact the customer service rep for more information. When I asked about other product on sale, the customer service rep pointed out that the only products they had were the cognitive enhancers Modafinil and Modalert. There are no generic ED medications on sale on the site. Even though not much information is displayed on the site, the prices were posted well on the top of the site. This is a very convenient position as it allowed for easy viewing. Shipping costs are also indicated there. Standard shipping is done for $12.57 and takes 21 days. Rush shipping takes only 7 days and costs $22.63. The site does not ship to some countries, including Canada, some European countries, the UAE and Saudi Arabia. Modafinil on the site costs $1.26 per pill, with the restriction of a minimum of 30 pills. The payment options on offer include MasterCard, Visa, and Bitcoin. Customer support can be reached through email at support@modup.net or by phone 1800-305-0256. There are reviews that have been posted by alleges customers of the site. However, these were posted on the site, not on independent forums or review sites. This makes their integrity questionable. The site includes a link to Reddit where users can find independent reviews of the site. More recent reviews of the site are available online. On Reddit, users praised the service and stated they were generally pleased with the products on offer. One user expressed concern regarding his package. His order was lost, and he decided to contact the support. The issue was resolved amicably, and a replacement was sent to him. An analysis of the site’s integrity on Scamadvisor is reassuring. Results show that the site is based in the US and has a large number of visitors. The real location of the site, however, could not be established. The detected owner address is an address in the Philippines, not the US. Information on Scamadvisor shows that the site has been up for around 5 years. It is also on the Alexa list of popular websites. The site, however, also has a ‘rogue’ advisory on Scamadvisor, with malware reports. The site received an overall score of 63 out of 100. The site does not offer many discounts for buyers. However, there are various offers for various payment options. Users who buy using Bitcoin get a 33% discount, a huge figure considering that most sites offer between 5-10%. Modup.net is a site that is solely committed to the sale of cognitive enhancers. 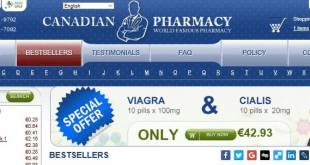 This site has become popular among people looking for these drugs. 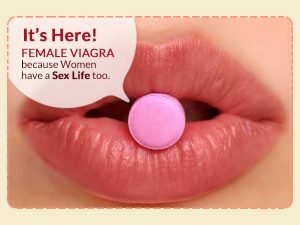 The site is good, and the medication is very affordable. Even though there is not much information regarding the site, the live chat function works well for those with any queries. When all things are considered, the site garners a rating of 3 out of 5. However, those planning on buying medication on the site should remember that it only sells cognitive enhancers. If you need any other medication, it would be better to consider another site.